The Honeywell's MAXPRO Professional 64-Channel NVR is an open, flexible, and scalable IP video surveillance system. 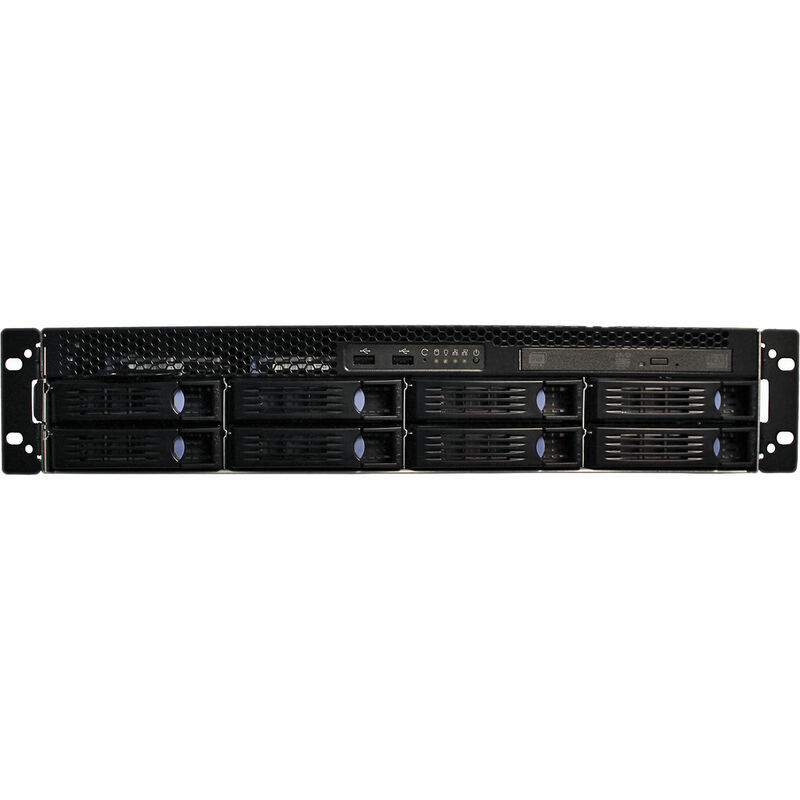 This NVR, when used in combination with separately available high definition cameras, serves as a high definition IP recording system with support for multiple standards and remote viewing clients for enterprise installations. The MAXPRO NVR is an open platform and supports broad third-party device integrations with support for PSIA and ONVIF (including Profile S devices) standards, RTSP (real-time streaming protocol) standard, and native device integrations, including 360° camera support. It also provides desktop clients, web clients, and mobile apps (MAXPRO Mobile applications). The Web Client is supported from any standard Mac or Windows browser and requires no additional installation. The interface is designed to be simple and intuitive with all the functionality and features that users need for daily surveillance operations, such as live view and playback of recorded video. This unit's small form factor (2U rack mount), high performance, and reliability make it suitable for installations where digital video is mission critical. Note: Oncam Grandeye 360 Cameras are not supported with GPU rendering and use CPU rendering by default. Note: During archival operations, maximum no of playback streams recommended from desktop client and web client is 16 streams. Note: Oncam Grandeye 360 cameras are not supported with GPU rendering and use CPU rendering by default. On Windows 7 workstations, GPU rendering is only supported through the motherboard monitor outputs and any additional graphics cards should be disabled in BIOS. On Windows 8.1, Windows 10 workstations with Intel GPU and any additional graphics cards, atleast one monitor should be connected to the motherboard monitor output. Box Dimensions (LxWxH) 32.0 x 27.0 x 9.0"